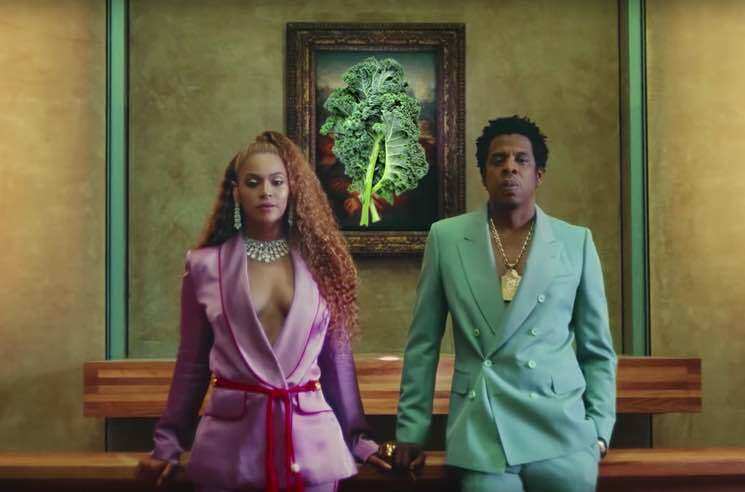 Beyoncé has long been rocking "KALE" sweatshirts, offering vegan food options and challenging fans to eat more plant-based food, but now she's really giving fans incentive to move away from animal products — she's offering them the chance to win Beyoncé and JAY-Z concert tickets for life. In partnership with the Greenprint Project, Beyoncé announced the contest via Instagram. Following the link in her bio allows fans the chance to explore the global impact of their consumption habits, focusing on the positive impact a plant-based diet can produce. Users can then set their own Greenprint goal — be it pledging to eat one plant-based meal a day or going full vegan — and enter for a chance to win the lifelong concert tickets. As previously reported, Bey and Jay recently wrote the introduction to Marco Borges' The Greenprint book. The pair also released a joint album, Everything Is Love, as the Carters last year.